So I have the top mostly flat. I’ll admit that it looks good – but Im still learning my way around planes and I wasn’t getting the results I thought I should be getting. In either case – I think it’s good enough. 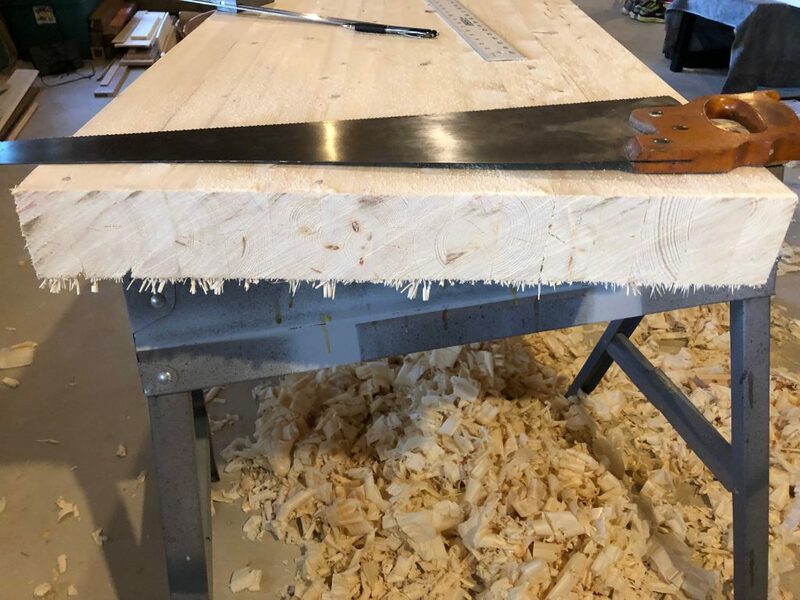 So now that I have a sharp crosscut saw – it was time for me to trim the edges. This turned into quite a lot of work. 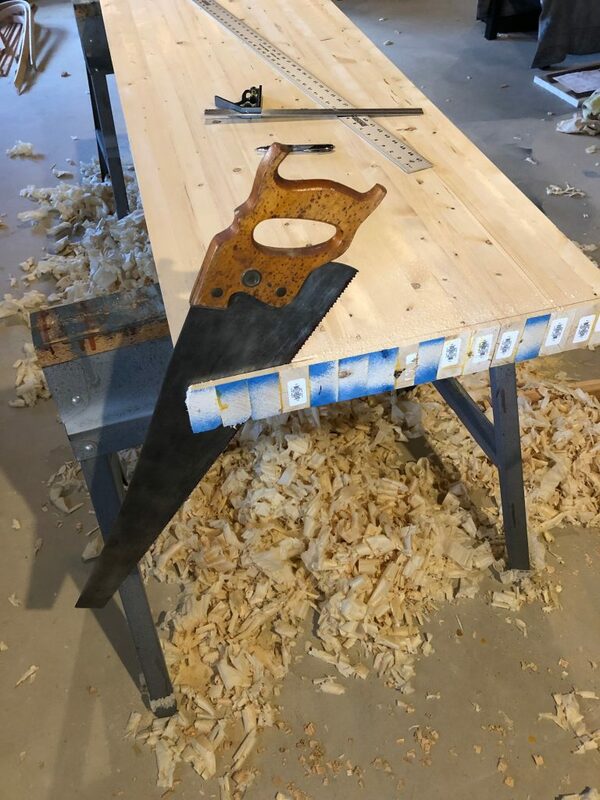 The saw was freshly sharpened – but the going was slow. I had to stop 5 or 6 times to rest. The end result was pretty ragged as I expected so the next step will be hand planing the end grain to smooth it out.